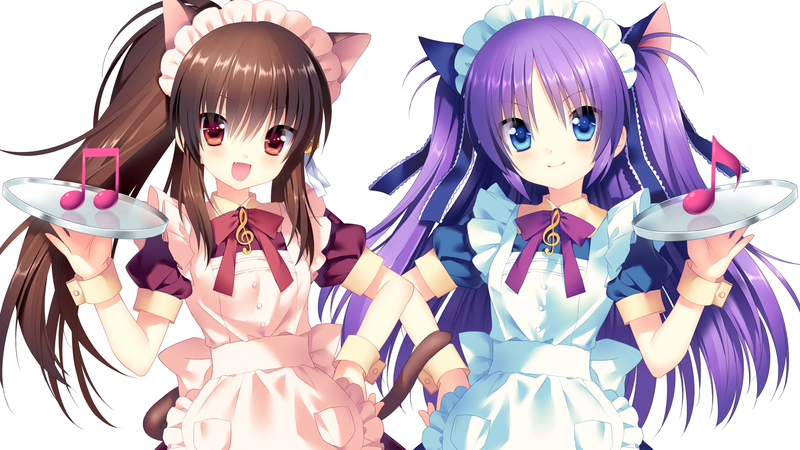 It’s been a while since my last post on my blog that isn’t fansubbing related. So, this will make a good change of pace on the blog. 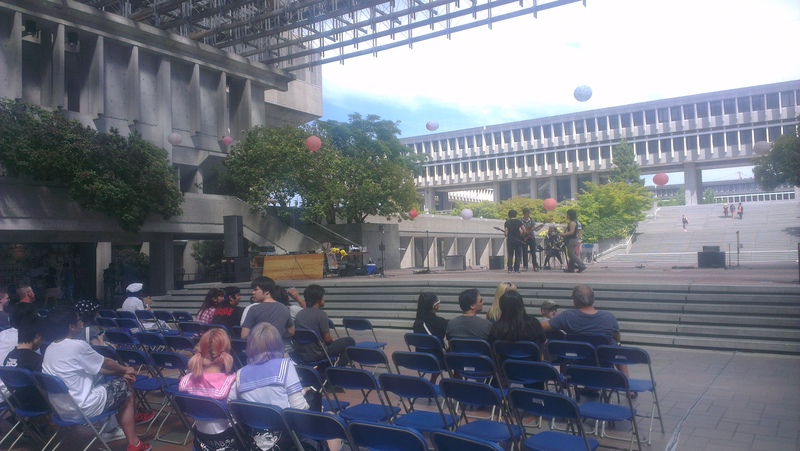 Anyway, today I was up on SFU Burnaby to help run an EVO screening event that we planned to run. 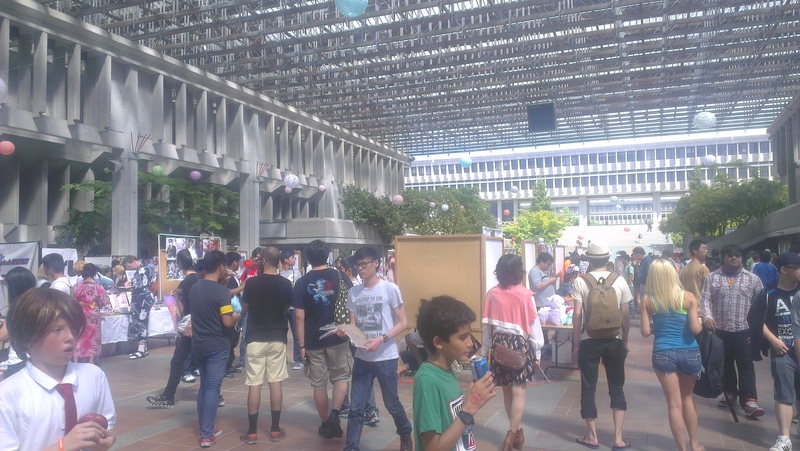 I was reminded by a friend early in the morning that the SFU Summer Festival was happening. 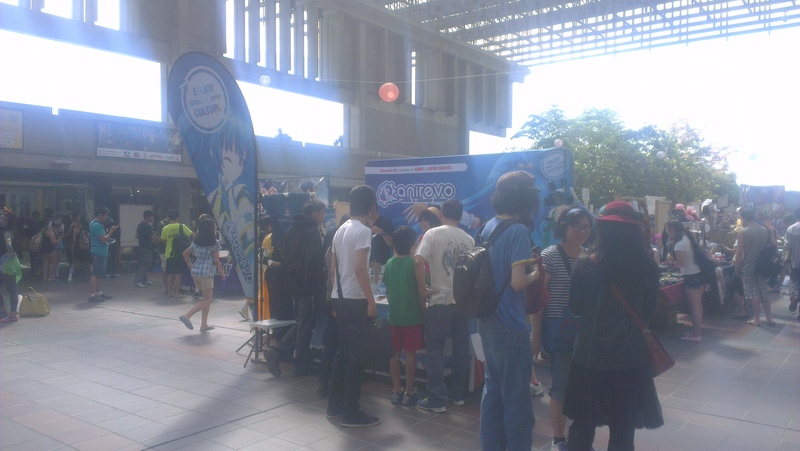 It’s basically a mini anime-con at my university that happens once a year. It’s low budget, but at least it’s an honest attempt at trying to run a big event at our school campus. Surprisingly, the event was well attended from what I could tell. In the time I spent there, the traffic of people was consistent and seemed to generate quite a bit of interest. It was quite hot today and it really showed in this area as it felt like a greenhouse in Convo Mall. The convention was set up fairly well given the amount of space and the wiring limitations in an outdoor environment. The biggest booth at the Summer Festival was definitely the Anime Revolution booth, but given the budget they have, it really isn’t that surprising. I’ll also be attending Anime Revolution come August, so if you want to meet up just hit me up on Twitter @shcboomer. 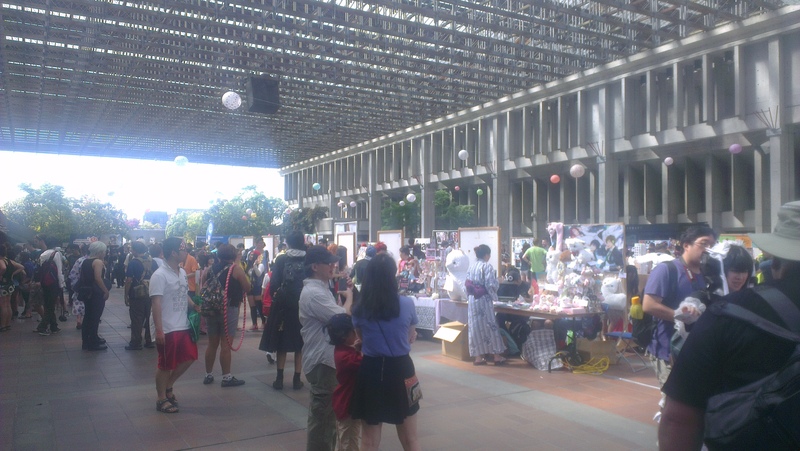 Anime Revolution is the biggest anime convention in Vancouver and might be on the costly side, but what here isn’t expensive? 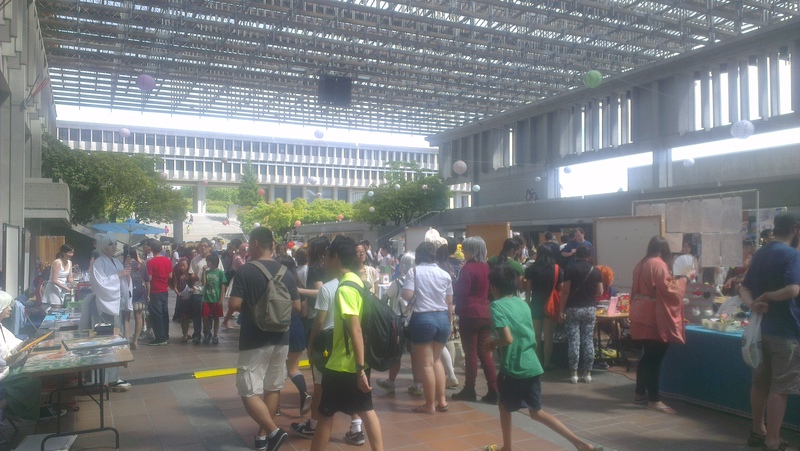 In terms of stalls and booths, we have mostly artist booths. A few of the booths sold anime goods, but they were priced a lot higher than you would really expect. On the bright side, there was quite a bit of rare products to buy such as the promotional convention exclusive Miku Figma and Nendoroid. For entertainment, there was a band playing on stage. I wasn’t sure which band was playing or what they were singing, but they seemed like they had fun. The spectator area at the time was quite thin as it was too hot to just sit down and wait for the band to set up. Overall, the event was fairly decent considering the price tag of free. Not many other places have free mini-cons so there really isn’t too much to complain about. Maybe I’ll drop by again next year if I’m still around campus.